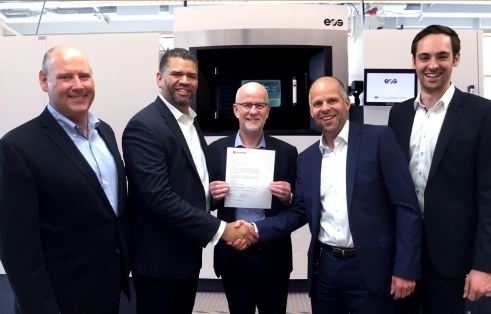 EOS, one of the leading technology suppliers in the field of industrial 3D printing of metals and polymers announced the sale of two of its flagship EOS M 400-4 metal 3D printers from additive design and manufacturing company from Morf3D. Morf3D will use these printers to manufacture production flight hardware for Boeing and Honeywell. The first two sales of the 3D printers is the first part of Morf3D’s letter of intent (LoI) to purchase a total of ten EOS M 400-4 3D printers. The EOS M 400-4 3D printer is EOS’s Direct Metal Laser Sintering (DMLS) ultra-fast quad-laser system designed exclusively for industrial applications. It offers a large building volume of 400 x 400 x 400 mm combined with four lasers designed to deliver four times higher productivity. 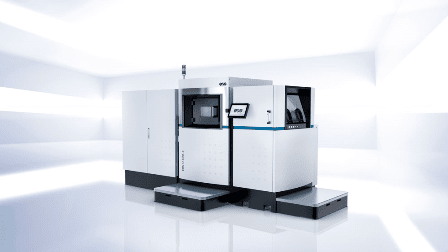 The purchase of the EOS M 400-4 3D printers by Morf3D only adds to Morf3D’s existing metal additive manufacturing infrastructure and allows it to meet the growing market demand for metal 3D printed applications. Morf3D’s current engagement for the supply production flight hardware for Boeing and Honeywell has only multiplied the company’s commitment to offer quality and innovation in a high-end marketplace. “The AM market is maturing and with that comes increased production demands with very stringent requirements. Not all organizations are prepared. We are, and will continue to add systems and processes to leverage the most reliable DMLS technology in the world,” said Ivan Madera, CEO of Morf3D in an official statement released by EOS. “Our strong customer relationships coupled with our AM lifecycle strategy have quickly evolved from material qualification to production at-scale. We have been working diligently to put in place a very robust supply-chain with industry partners to exponentially increase our metal AM capacity and services,” Madera added. Offering more details about the deal, Glynn Fletcher, President of EOS North America added, “When this phase of the investment is complete, Morf3D will boast ten EOS M 400-4 machines, one EOS M 400, and three EOS M 290s. That is no small commitment by any stretch of the imagination”.